SONO is otherwise known as "SONO" and operates independently of any monetary authorities. 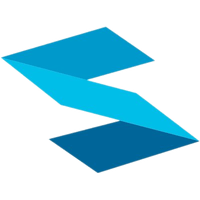 You can mine the SONO decentralized virtual currency, which is done so using the SkunkHash algorithm along with the proof of work and proof of stake (pow/pos) consensus. SONO are on social networks such as Facebook, Reddit, Twitter and Telegram, so check them out to keep up to date with the latest news. We don't have any cloud miners listed for SONO yet, check back soon! We don't have any exchanges listed for SONO yet, check back soon! We don't have any wallets listed for SONO yet, check back soon! We don't have any debit cards listed for SONO (SONO) yet, check back soon! We don't have any price charts listed for SONO yet, check back soon!